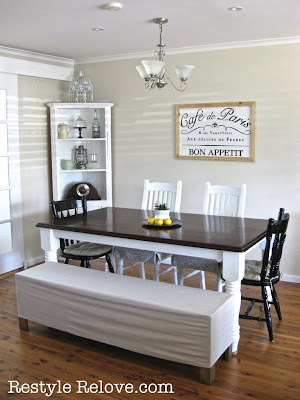 I'm so excited to be showing you the big change in our lounge / dining room. Do you see it? 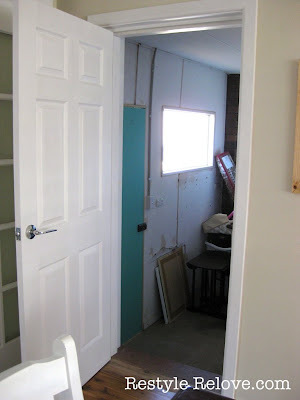 Yep, we now have an internal door leading into the garage / storage room / my work area / and eventually part hubby's office area. 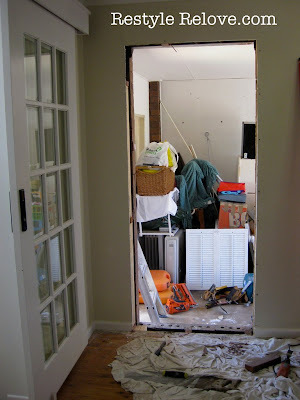 Here is how the room used to look without the door. 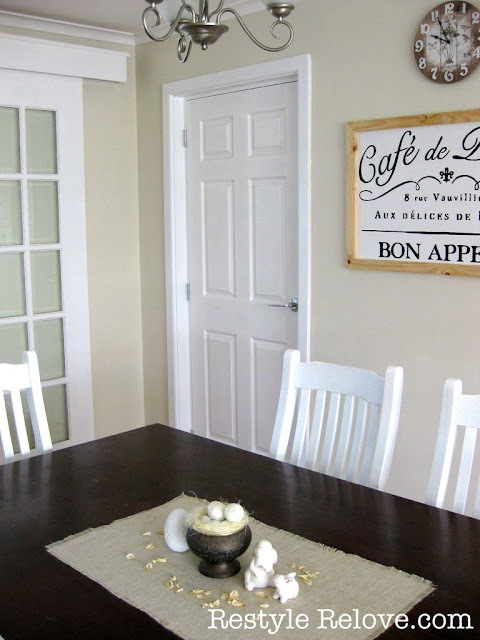 So here is the area with the dining table moved before the reno. 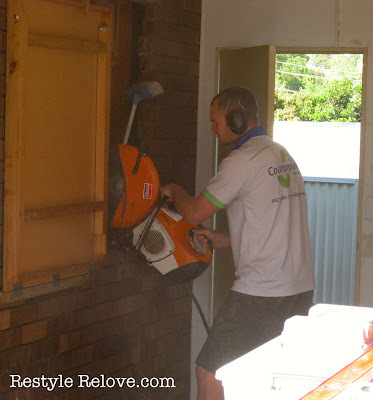 The builders started from the garage wall side and cut the hole for the doorway out of the brickwork with a very loud saw. 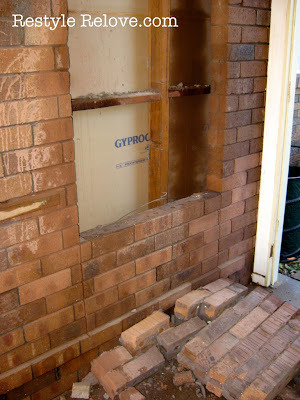 Here is what it looked like when the bricks were being removed. 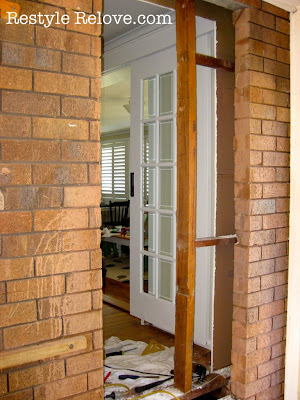 Then the doorway was sawed out from the inside. The internal beams were cut out. 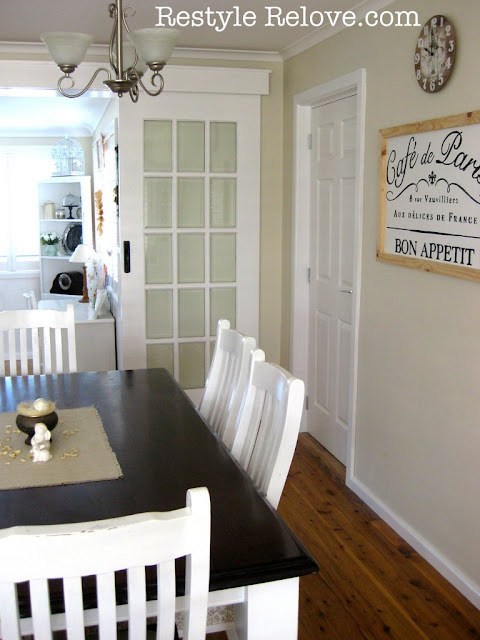 The framework was constructed and a gorgeous paneled door installed. 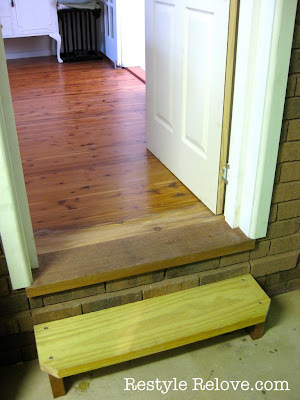 The bottom of the doorway was created, and then a step added. We still need to varnish the new floorboards to match in with the original ones. 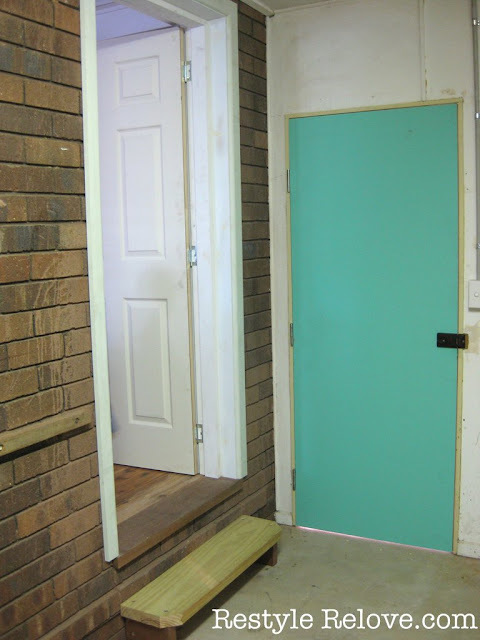 We also got a new external door with deadbolt installed in the garage as the old one was old and weathered. Love that teal colour, but will likely give it a coat of white. :) The wall it is on needs a lot of repair work. Another project to keep me busy. 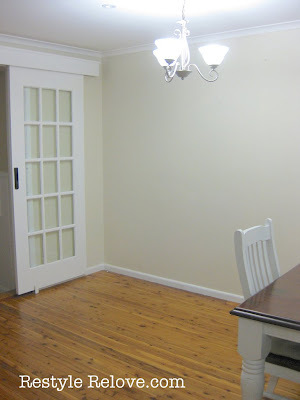 And the brick walls I plan to paint white. 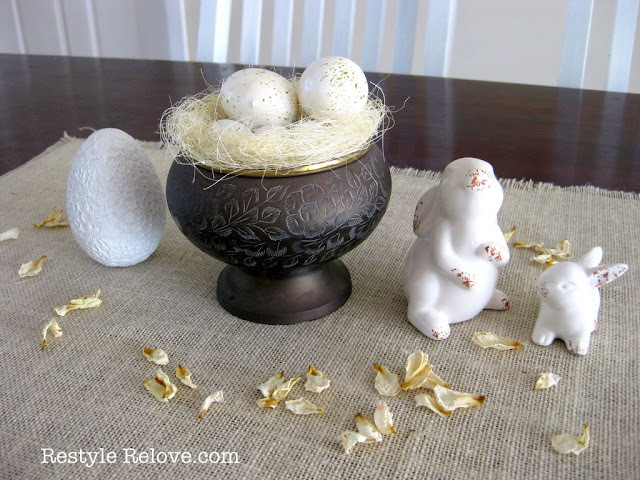 I also added some of my Easter treasures I recently purchased to the table, along with a sprinkle of dried out rose petals. 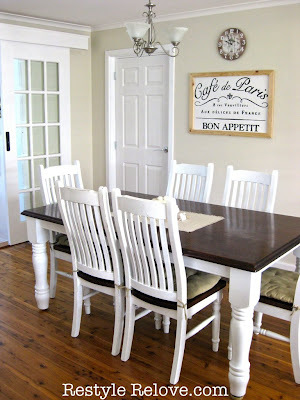 You might also notice I have gone back to our original dining chairs. The bench seat wasn't working out. The kids were lying down on it while they ate and leaning all over each other so it wasn't really practical for us. 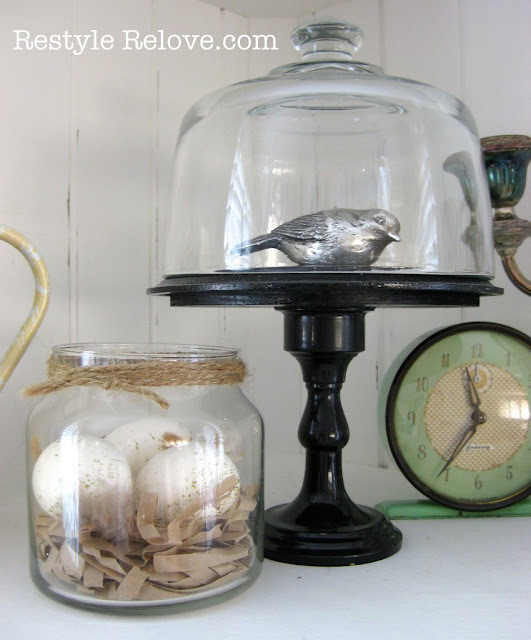 And my little silver birdie went into my DIY cloche. 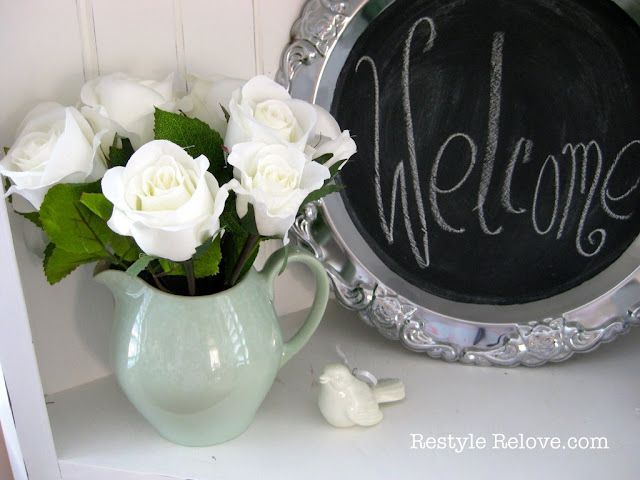 I also added some faux roses to my pale green ceramic vase, and accompanied it with my new little ceramic Easter birdie. So now I have a new door and a new look lounge/dining room and sunroom. And I love, love, love it! I've been really sick with the flu the last few days so will slowly be working on cleaning out the garage, fixing the walls and repainting. 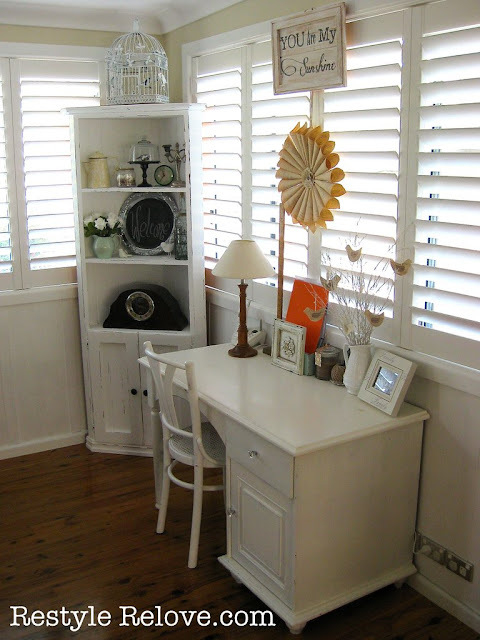 I also have a lot of furniture accumulated in the garage to restyle and sell to help with the cost of the new door so am guessing the garage makeover will take a few months to complete. With a lot of DIY and a limited budget, our little house is coming along nicely in the style that I love. I love your new door. 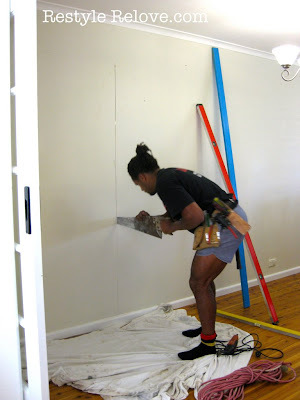 It does make the room look bigger and a better access to your garage area. I can't wait to see what you do with that room. I also love all the changes to your office area. It is really pretty and very organized. Great job. How exciting! 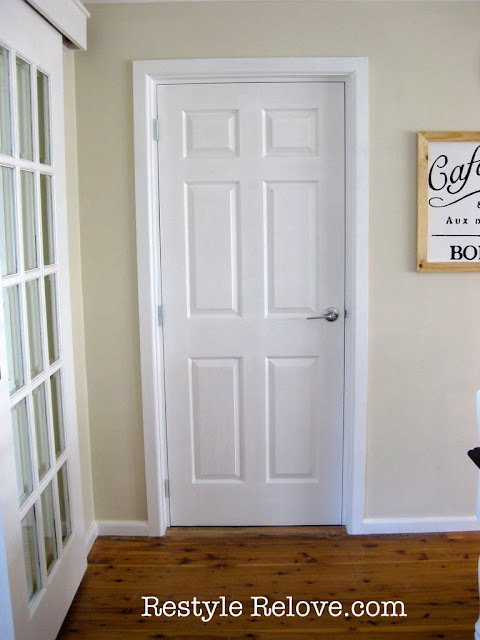 The door really changes the room, it all looks fantastic. 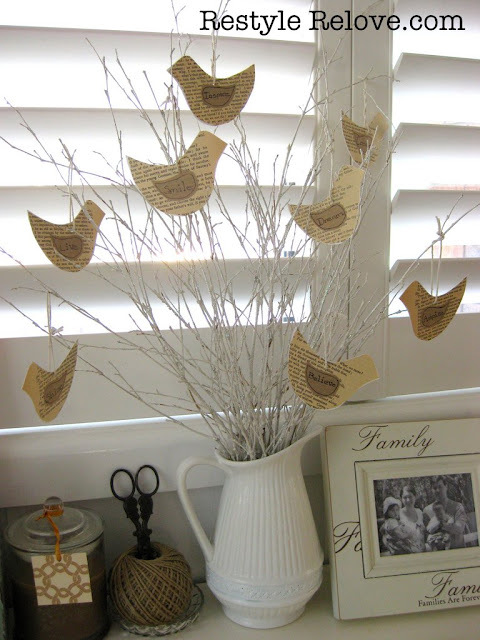 I love what you did with the hutch too, those birds are adorable. Your home is very pretty! Wow, that looks really good. I love your dining room. 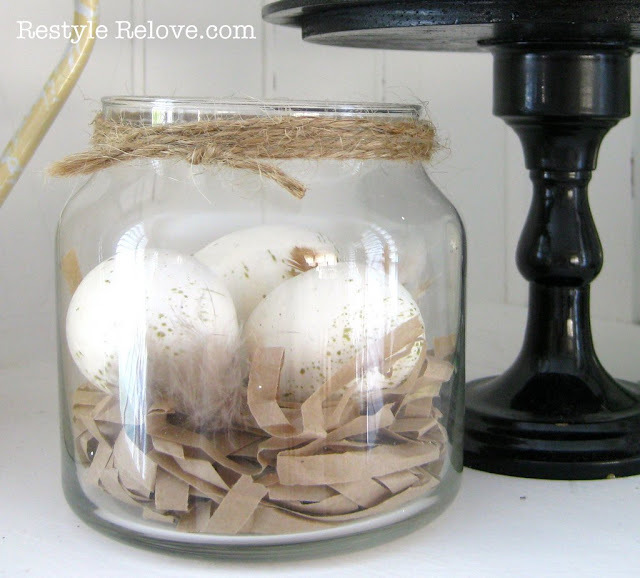 Also love all your spring touches.Great job! I know you're loving having that new door! 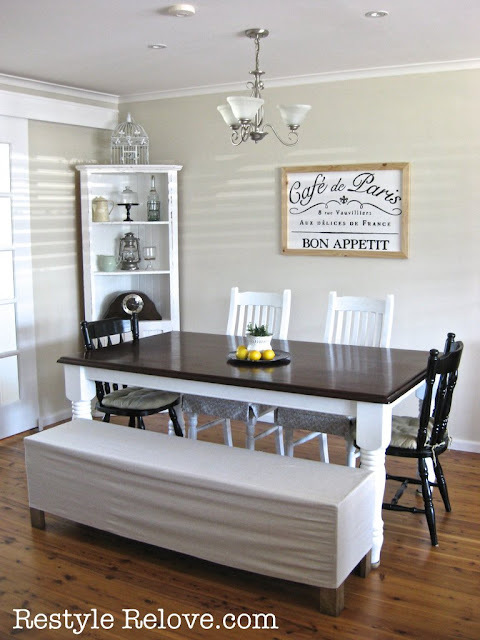 Your dining room and new office space look so pretty with all of your personal touches.